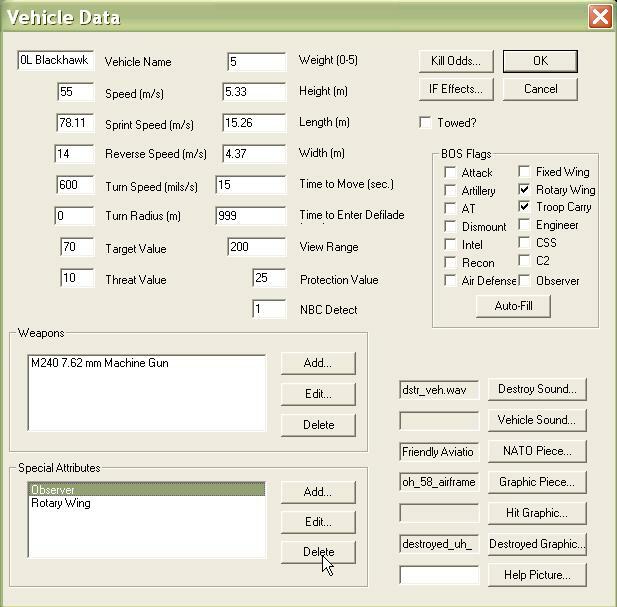 A vehicle object in the database contains all of the data defining a vehicle type, including its special capabilities, its starting ammo, its speed and dimensions. 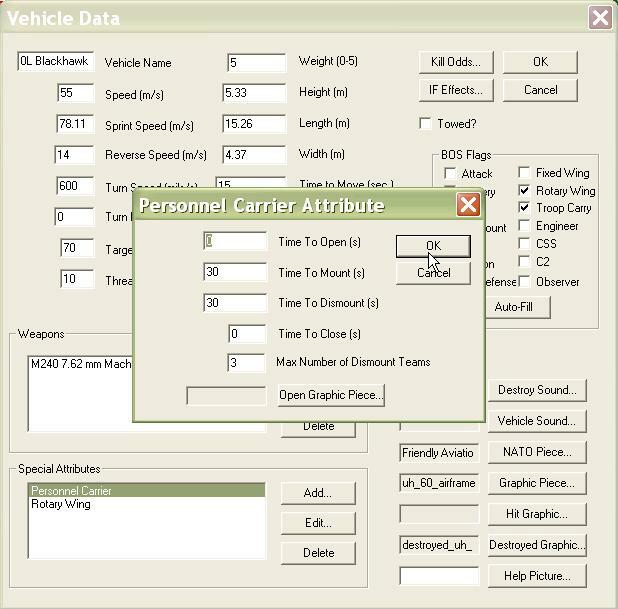 Each unit in the game refers to a vehicle in the database and derives its capabilities from the vehicle object in the database. We are going to build a UH-60L by copying an OH-58D to a new vehicle object and changing its attributes. You can also make a vehicle by starting from scratch, but you must then manually input all of the Kill Odds data for every weapon in the game. This is not the preferred method for creating a vehicle. We are going to build a vehicle by copying an existing vehicle to a new vehicle object. Then we are going to edit the copied vehicle to reflect the properties we want it to have. 1. 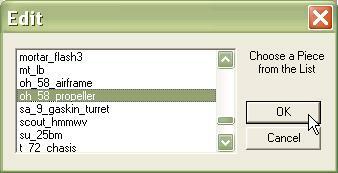 Select the 'Copy...' function from the 'Vehicle' sub-menu of the 'Database' menu in the ATF Power Toolkit. 2. Select the vehicle you wish to copy. Ideally, you select a vehicle which has similar vulnerabilities to direct fire weapons. Kill Odds are time consuming to edit, so if you can start with a close match, you will save time. 4. Select a name for your new vehicle. 5. 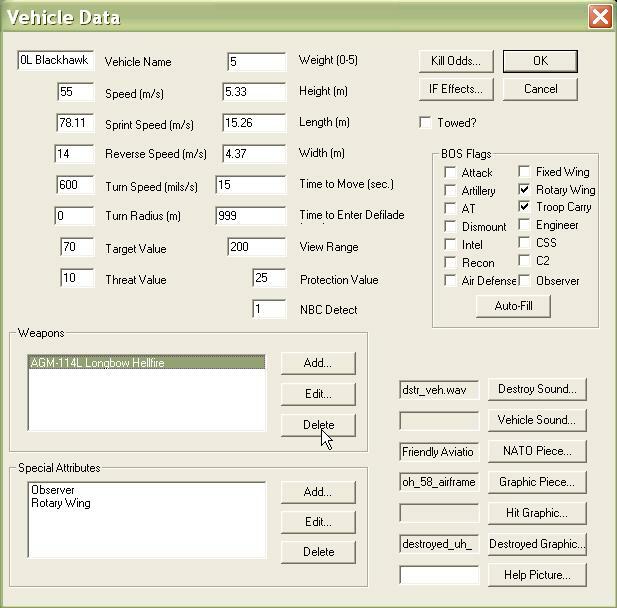 Fill in the edit boxes for the vehicle data. Speed. The speed of the vehicle during normal movement. Sprint Speed. The speed while under the 'Sprint' Order. Reverse Speed, Turn Speed, Turn Radius. Currently not Implemented. Target Value. Used by the AI to select targets for direct and indirect fire. Threat Value. Used by the AI to select targets for direct and indirect fire. Height, Length, Width. Dimensions of the vehicle. If the vehicle has a turret, these dimensions are not included in this total. Time to Move. How long it takes for a unit to start moving after the unit's 'Stop' Order is canceled. Time to Enter Defilade. How many seconds it takes a unit to enter defilade after the 'Defilade' Order is given. View Range. This is the base range at which a unit will detect other vehicles. It is effected by vehicle and target movement and posture. Protection Value. A value from 1-100 which indicates how susceptible occupants are to suppression (lower number means easier to suppress). NBC Detect. A number from 1-100 which indicates how good the vehicle is at detecting chemical agents. BOS (Battlefield Operating System) Flags. Check all of the boxes which describe the function of your vehicle. 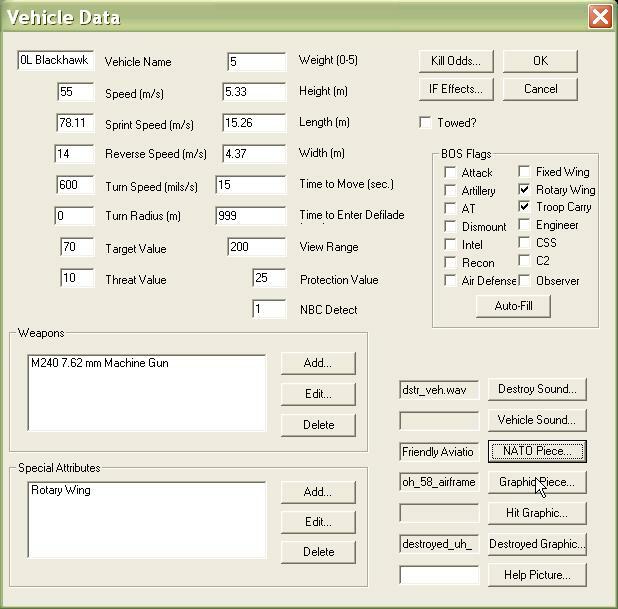 These attributes are used by the game AI to decide how to fight this vehicle type as part of Missions. 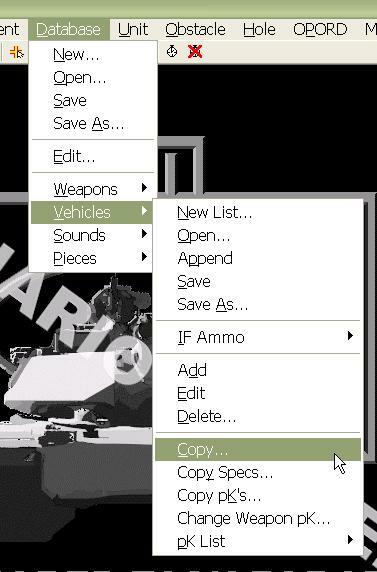 Finally, we delete the old weapon and click 'Add' to add a new weapon to the vehicle. 6. Go back to the image for your new vehicle in whatever drawing program you prefer and try to identify the location of weapons on the image. This is the place from which weapons bursts will be shown when the vehicle is firing. On a tank, this might be the turret muzzle, but on our aircraft, this is the door gun. The value you need is from the center of the vehicle (with up being the positive Y axis and right being the positive X axis). In other words, you need to subtract the coordinates of the center from the coordinates of the weapon location and then multiply the Y value by -1 (huh?). This number will be input into the Flash Offset X, and Y for the aircraft. Right now, flash graphics are not implemented. But this may change someday as the Armored Task Force game engine is upgraded, so it is a good idea to input this value so that your vehicle and database will remain 100% compatible when the engine is upgraded. 7. We were presented with this dialog when we selected the 'Add' button from the vehicle dialog. If this were a vehicle with a turret, we would add the weapons to the turret, not here, unless they were connected to the chasis of the vehicle, but our aircraft does not have a turret. 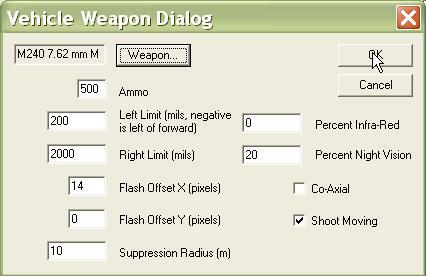 Click on the 'Weapon' button and select the weapon, then fill out the form. Ammo. Total number of rounds the vehicle carries as its basic load for this weapon. Left, Right Limit. These numbers describe the left and right extent of the weapons traverse. Enter -99 if there is no limit. Directions are described with zero being straight ahead and 0 to -3200 being to the left of straight ahead and 0 to 3200 being right of straight ahead. Our door gun only fires to the right of the aircraft. Flash Offset X, Y. This is the number we just got from the image in the last step. Suppression Radius. This is the radius that can be suppressed on the ground with this weapon when the unit has the 'Suppress' SOP set. Percent Infra-Red. A value from 1-200. This is how well the vehicle sees in infrared (used when looking through smoke). Percent Night Vision. A value from 1-200 describing how well the vehicle can see during limited visibility (night). Co-Axial. If checked, this weapon is fixed to either the chassis or the turret of the vehicle which it is a part. If this is the case, the vehicle or turret will be rotated when the weapon engages targets. Shoot Moving. If checked, this weapon can be fired while the unit is moving. 8. We are going to delete the special attributes that do not apply to our aircraft. 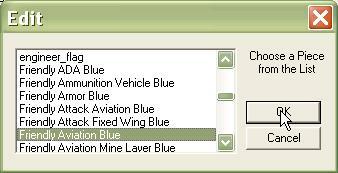 Then, we select the 'Rotary Wing' item and select 'Edit' so that we can tailor it to our aircraft. Altitude. The height above ground level at which the vehicle flies while moving normally. Sprint Altitude. The altitude at which the aircraft flies when sprinting. Defilade Altitude, Defilade Popup. If defilade popup is checked, then when the vehicle is in defilade, it will fly at the 'Defilade Altitude'. Land When Stopped. Self-explanatory. This needs to be checked if we have troop carrying aircraft (which we do). 10. Select the UH-60L propeller graphic that you drew using your favorite drawing application. 11. 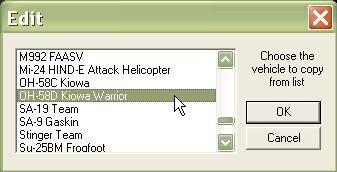 After we click 'OK' on the Rotary Wing Attribute dialog, we are going to select the 'Add..." button and select 'Personnel Carrier' so that our aircraft can carry soldiers. We simply fill out the form. Time to Open. The amount of time required to open the vehicle to accept dismounts. This is most applicable to APC's and other vehicles with large, heavy back ramps. Time to Mount. How much time, per dismount team, is required to load the aircraft with the team and its equipment. Time to Dismount. Time to unload all of the dismount teams aboard an aircraft. Time to Close. After mounting or dismounting is complete, how long it takes to close the carrier. Max Number of Dismount Teams. Self-explanatory. Open Graphic Piece. You can create a separate graphic piece to display the vehicle while it is open and specify it here. 13. ...And specifying the rather generic 'Friendly Aviation Blue'. 14. Now we are going to pick the graphic piece we created so that, when we have selected 'Vehicle Icons' in our 'View Options' window, our new graphic piece will be displayed. 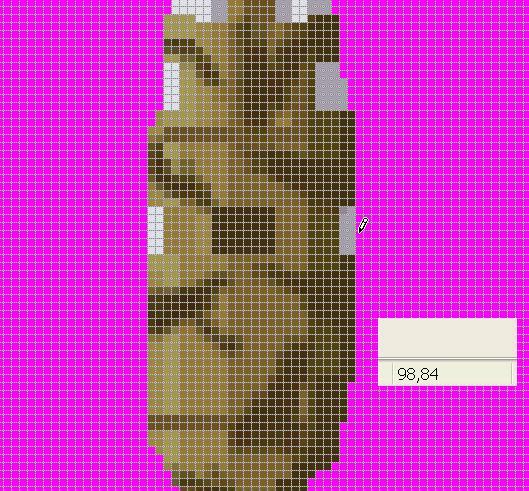 Select 'Graphic Piece' and then select the 'UH-60L' graphic that we created in the previous topic. 15. If you wish to change the vulnerabilities of the vehicle to direct fire weapons, you can do so by selecting 'Kill Odds'. 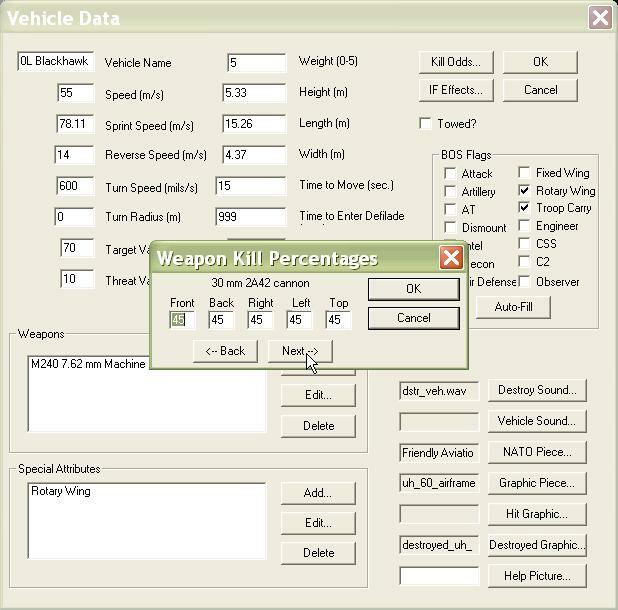 You will be presented with the 'Weapon Kill Percentages' dialog which allows you to change the pK (percent kill, odds a weapon will kill the vehicle if hit) for each weapon in the database. pK is separate from pH (percent hit, the odds a weapon will hit a vehicle). pH is based on a complicated algorithm and can not be directly edited in the database. It relies on vehicle movement, visibility, weapon magnifications, and many other factors. Here is how to use the dialog. Front, Back, Left, Right. These are the odds (from 1-100) that a hit on this facing with the specified weapon will destroy the vehicle. Top. This value is not currently implemented, but it is a good idea to fill it in so your database will continue to be compatible when the Armored Task Force game engine is upgraded, later. Back, Next. Cycle through all of the weapons in the database. You can also edit these values by using the 'pK List' functions, 'Import' and 'Export'. With these functions and a program like Microsoft Excel*, you can export all of the current database values, edit them in a tabular format, save them as a comma-separated value list, and import them back into the game. 16. 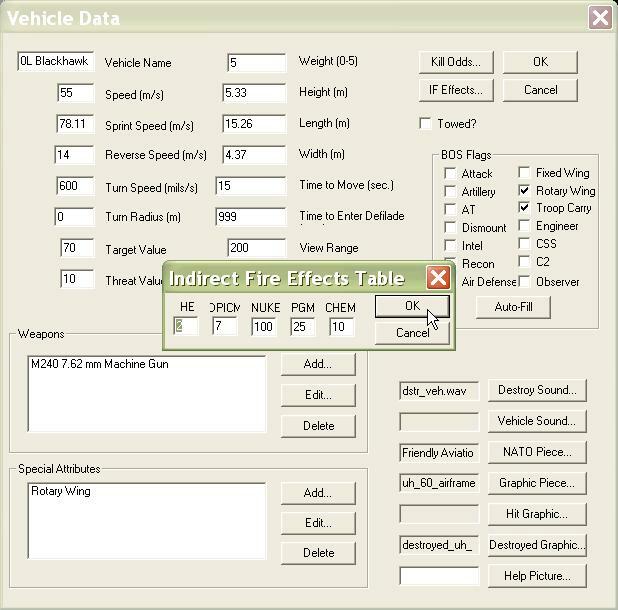 You can also edit the vulnerability of your vehicle to indirect fire, by selecting the 'IF Effects' button. These are base pK's (percent kills, odds, from 1-100, that a vehicle will be killed) used if the vehicle is within the blast radius of an indirect fire impact. They are modified by the caliber of the weapon (a rocket will have higher odds than these, while a mortar will have lower odds). The base value here is for a U.S. 155mm round. DPICM. Dual-purpose, improved, conventional munitions (bomblets). PGM. Precision guided munitions (laser guided, 'smart' munitions. CHEM. Chemical munitions effects. The odds the vehicle will die when first entering a chemically contaminated area. * Both "Microsoft" and "Excel" are registered trademarks of Microsoft Corporation.